← Did You Sell Stocks, Real Estate Or Other Assets This Year? W-2 – A form almost everyone is familiar with. It includes the wages from your employer for the year along with withholdings and other information that is crucial in preparing your return. You should receive a W-2 from each employer you had during the year. 1099-INT – This form is used by the payers of interest income to report the amount of interest you earned from various sources throughout the year. If the interest earned is less than $10, the payer may not issue the form, but the interest must still be included in your interest income. 1099-DIV – This form is used to report dividend income you earned from various sources throughout the year. If a brokerage firm is holding your stock portfolio, it may use a substitute form, which will likely include payments from all of the types of 1099s that it needs to issue. 1099-B – If you sold stocks during the year, you will receive 1099-B showing the gross proceeds of sales from stock transactions. If you have a brokerage account, most brokers use a substitute form showing the details of all of your sales for the year. Special note about 1099s from brokers: In some cases, a brokerage firm may receive a time extension from the IRS to file its 1099s because it needs information from certain mutual funds to properly complete the 1099s. So if you don’t receive your 1099s from your broker shortly after Jan. 31, check with your broker for the anticipated date when the 1099s will be available. 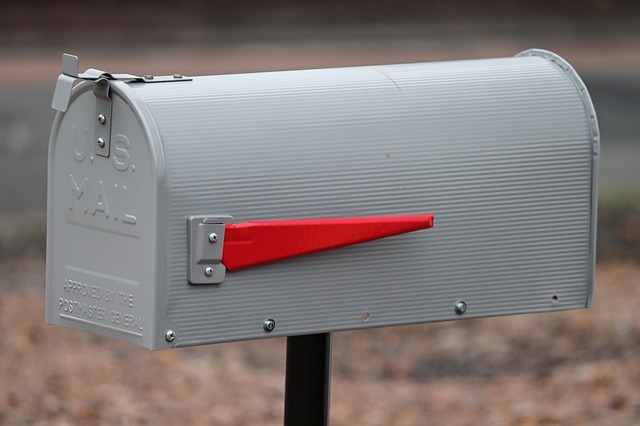 If you have an online account, you may be able to download and print the forms, instead of waiting for them to arrive in the postal service mail. 1099-S – If you sold your home during the year, you may receive a Form 1099-S showing the sales price. You may have received this form when the escrow closed, rather than getting it in the mail after the year’s end. In either case, the closing escrow statement is always needed for the sales expenses and prorations. SSA-1099 – If you received Social Security income during 2018, you will be receiving a Form SSA-1099 (RRB-1099 for railroad retirement) reporting your benefits for the year and the amount of Medicare insurance paid. 1099-R – If you received a pension or other retirement plan benefits, including IRA distributions, you will receive a 1099-R showing the year’s total amount and generally also the taxable portion, any tax that was withheld, and other information needed to prepare your tax return. 1098 – If you have a home loan, the lender will provide you with a Form 1098 showing the amount of interest paid on the loan for the year. 1098-C – Form 1098-C provides the information needed to determine the amount of a charitable contribution that is allowed for a motor vehicle, boat or airplane donated to charity. 1098-E – Form 1098-E shows the amount of student loan interest you paid during the year. 1098-MA – If you received assistance with your home mortgage payments, you will receive this form; it is helpful for determining how much of the home mortgage interest you paid and that is deductible by you. 1098-T – If you paid college tuition for yourself, your spouse or a dependent, the education institution will send you this form showing the amount of tuition you paid throughout the year as well as other amounts that could affect the computation of the higher-education tax credits. 1095-A – If you obtained your health insurance through a government marketplace, you will receive a Form 1095-A, which is needed to compute your premium tax credit and reconcile any advance credit that was used to subsidize your premiums. In some cases, you may need to log into your marketplace account and download the form. 1099-C – If a lender forgives all or a portion of a debt, this form includes a variety of information needed to determine what portion of the debt is taxable and the part, if any, that is excludable from income. 1099-MISC – If you were self-employed in 2018, businesses that paid you $600 or more will be issuing you a 1099-MISC. Some businesses may issue a 1099-MISC even if the amount they paid you was less than $600. 1099-K – If your business accepts credit cards, debit cards, PayPal or other third-party payments, you may receive a 1099-K showing those sales for the year, depending on the number and total dollar amount of transactions. K-1 – If you are a partner in a partnership, a shareholder in an S-corporation or a beneficiary of a trust, you will receive a K-1 from the entity showing your income, loss, deductions, credits or other information from the entity needed to prepare your return. It is important to understand that the IRS and most states also get a copy of these documents, and if the information on these forms is not reported correctly on your tax return, you will eventually hear from the government. Also, keep in mind that even if you don’t receive an income-reporting 1099 that you were expecting, you are still required to report the income that you received from that payer or business on your tax return. Please give us a call if you have questions about any of these informational forms or others not included above.